Christopher Biggs from Loxley, Alabama carries a weight heavier than any deadlift could challenge us; he deals with autism and Tourette syndrome his whole life. Christopher has been training in powerlifting since August of 2013 and has shown improvements in his tics and sensory issues due to the stress release of powerlifting. 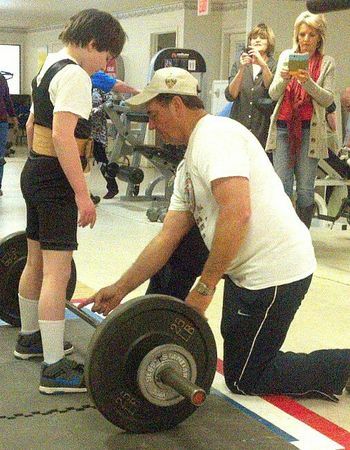 Daryl Haskew, the coach of the ARC of Baldwin County powerlifting team, recommended that Christopher start training at TOADS, which is a personal training facility in Mobile. TOADS stands for Total Athletic Development Systems. Brock Cole worked with Christopher and his parents could see a positive change in Christopher’s stress which also carried outside of the gym. Christopher’s olfactory sense is very strong and his hearing is extremely sensitive. Since he has to wear noise cancellation ear muffs when going out to the movies you would think the gym would be too much, right? Wrong. Christopher is so relaxed (Which being relaxed helps ease the symptoms of his ailments) that he has not had to wear his ear muffs one time in the gym. They are trying to get him used to the noises in the gym and so far he has handled them like a champ. Christopher exercises his patience and waits until he hears “bar is loaded” before stepping up to lift and gives him confidence that can carry on into other parts of his life. “Christopher’s never just stood up there and waited for anything in his life. Christopher, he’s strong. He’s just incredibly strong, and he doesn’t have an off switch and he just lunges. And now he puts his feet in the right position, and he waits until they tell him what to do. I knew he could lift, but I wasn’t sure he could do that part, and he’s doing wonderfully. So how did the meet go? The article (linked below) mentioned that Christopher’s personal records are 85lbs/65lbs/125lbs and he weighs 90 pounds. If you’re doing the math, that’s not too shabby at all… His deadlift is about 1.4x his bodyweight which means someone who weighs 200 pounds would be deadlifting 280. 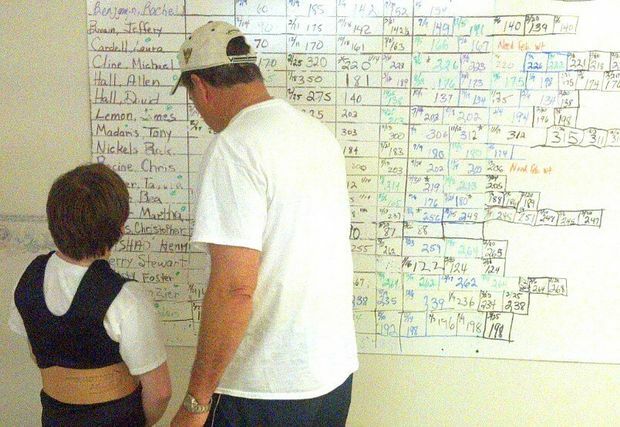 Christopher set state records in the Youth 2 Division’s 114 pound class. His numbers were a 44.09lb squat, a 55.12lb bench, and a 137.79lb deadlift for a total of 236.99lbs. As a matter of fact, 26 out of the 93 state records that day were set by ARC team members, where Christopher trains at occasionally. I don’t know the science behind autism and why it happens, but I do know that I’ve read and heard about more and more autistic people who love powerlifting and how much it helps them control their symptoms. I congratulate Christopher Biggs for finding his passion and sticking with it. Powerlifting is a hard sport but if you treat it right, it will treat you right. Leave any comments or questions below and share if this inspired you. Just FYI, the olfactory sense is your sense of smell. Auditory sense is hearing. 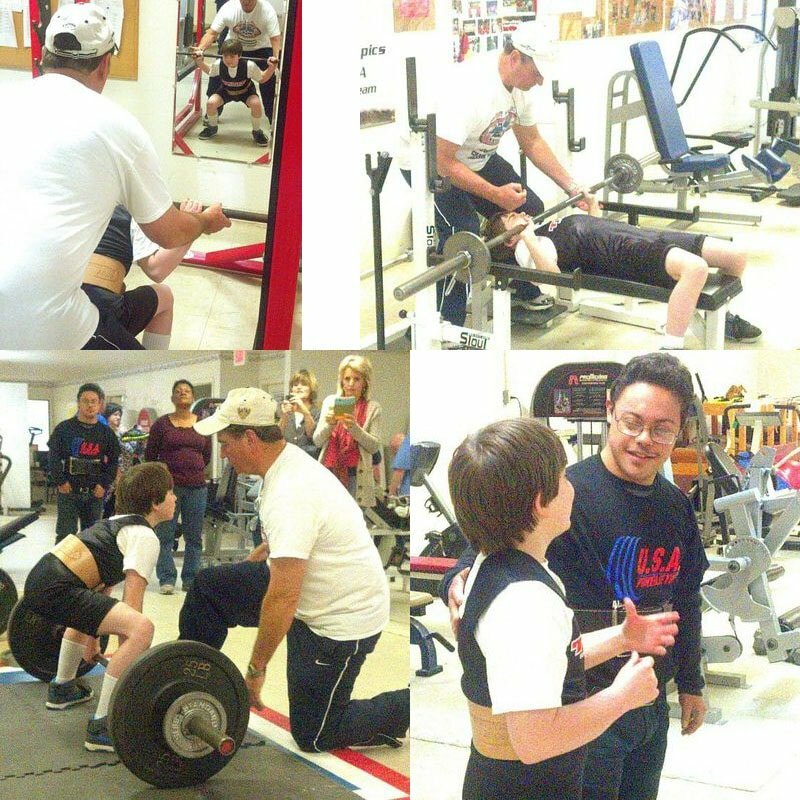 Glad to hear young Christopher is finding his strength through powerlifting. I meant to say “and his hearing is extremely sensitive” but some reason I put which means. Julian, thank you for the kind words. I’ve put years into this website with almost no return so it touches me when I hear feedback from readers, especially positive. There are a couple of stories out there of some autistic children and children with down syndrome who find courage and purpose with the weights. It’s very touching. I’m currently working on revamping the website in my free time to make it more user friendly and load faster so keep checking back. If you would like to check out some other articles I write, https://content.tigerfitness.com/author/jeremygray/ is my link to the articles I’ve written on Tiger Strength. I still am putting a lot of effort writing to them since they are compensating me for the articles, but it is the same quality content I produce here. Again, thank you for the kind words and I hope to hear about your progress.